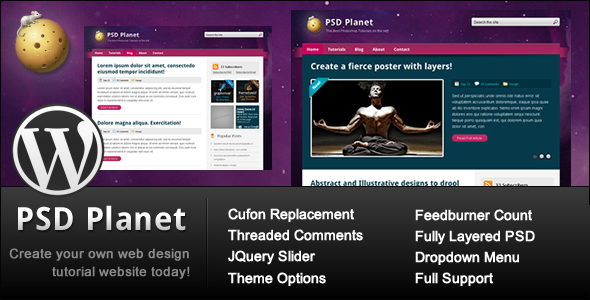 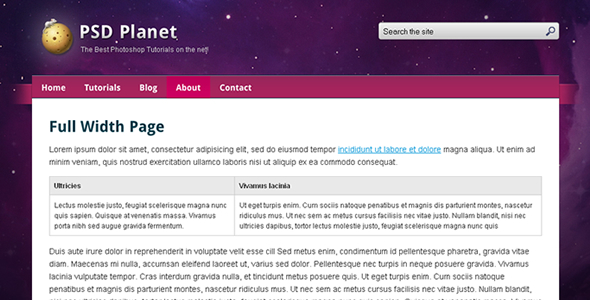 PSD Planet was created for people who want to run tutorial websites. 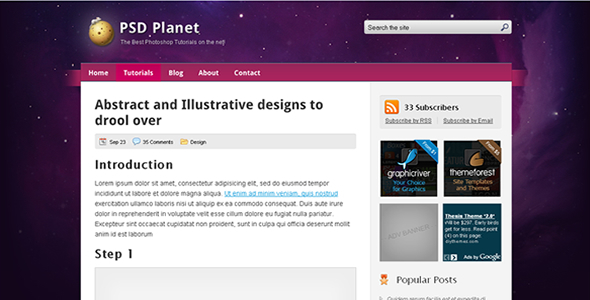 The design is sleek and elegant and just made for top quality articles for web design/development or anything else really. 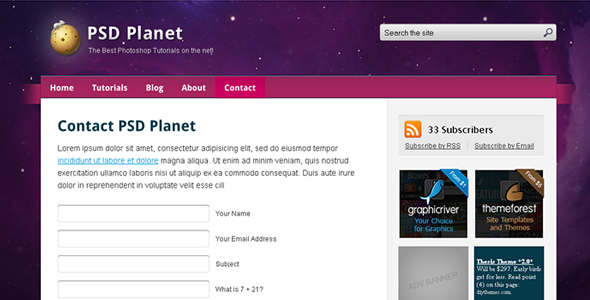 The emphasis with the design is focused on the content and gives a wide area for text and images to display to your users.